Meet PR professional, Isoke Salaam, as she shares insider tips on how to reach out to brands, sell your blog, and negotiate like a pro. Learn how to land sponsorships and brand collaborations! 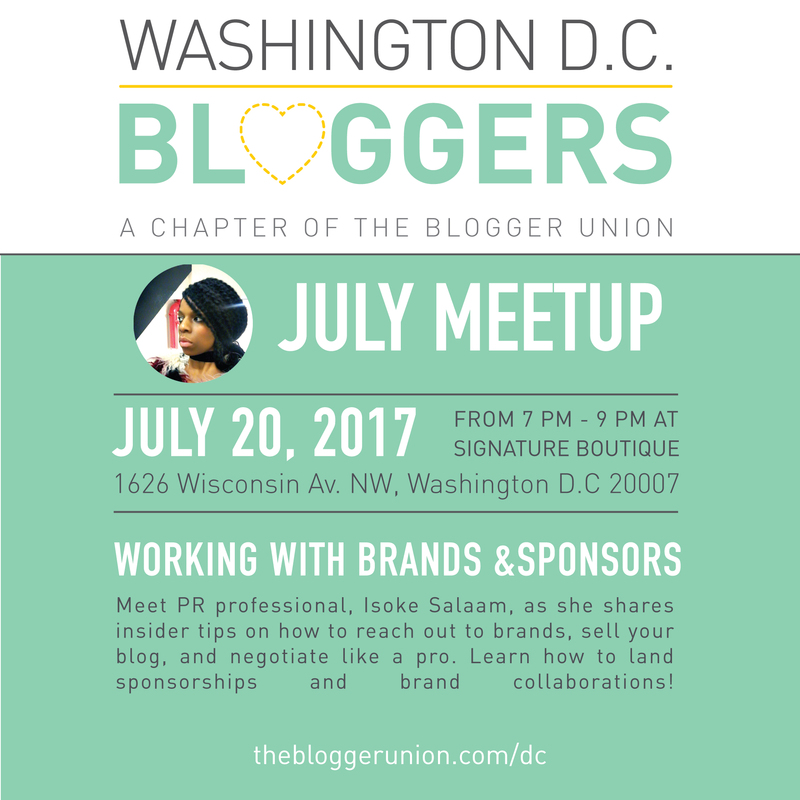 Thank you, Signature Boutique, for hosting the DC Bloggers July Meetup.